Is Stand-up Paddling the New Surfing? 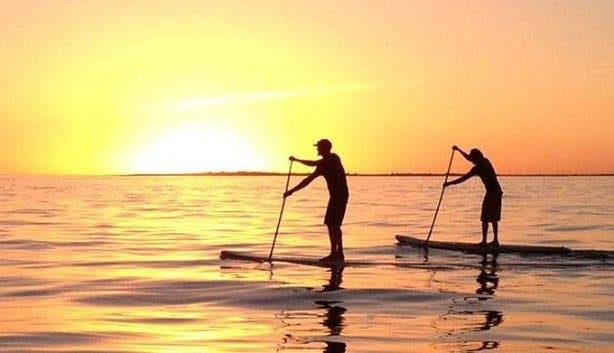 You’re familiar with surfing and kitesurfing, but we think stand-up paddling (or SUP) should make it onto your bucket list, too. 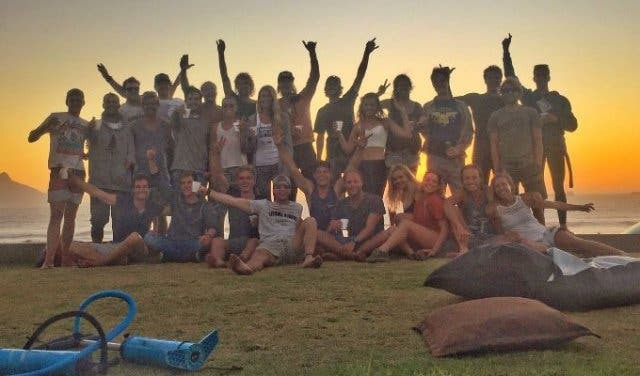 You can learn all three of these adventure sports with ease and safety at High Five, the only International Kitesurfing Organisation-approved (IKO) watersports school in Cape Town. 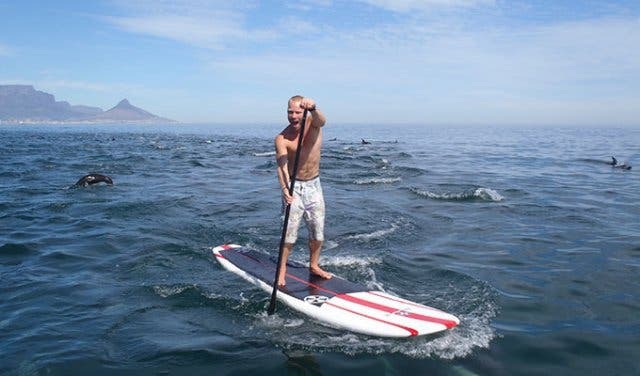 SUP is the water sport celebrities are often spotted attempting, standing atop surfboards using paddles to glide out through the water. 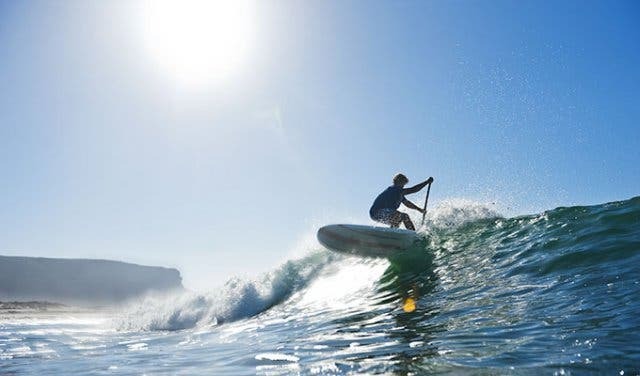 It’s particularly appealing as a new sport to master because nearly any body of water is fair game – you don’t need to chase big waves or wait for a gusty Cape Town day to make the most of this full-body exercise. SUP might look easier, but still essential to get a handle on stroke techniques, balance and, the appropriate gear to use – High Five takes care of all that. Because the surfing school is certified, it guarantees that they use top-notch gear and instructors. All the gear (wetsuit, board, leash and wax) are included in the SUP lessons. You can get an hour or 3-day lesson on both the surfing or SUPing. 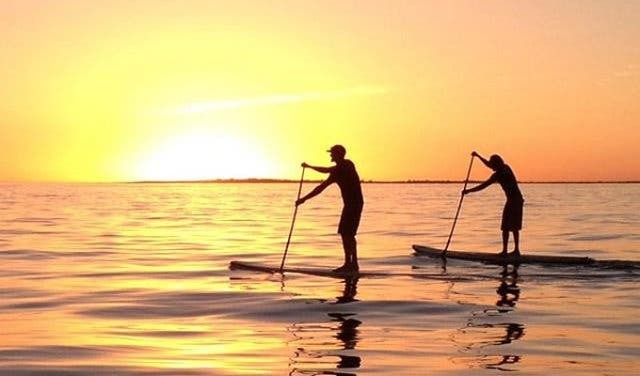 You can also book a SUP tour around the islands of Big Bay, where you spot seals. 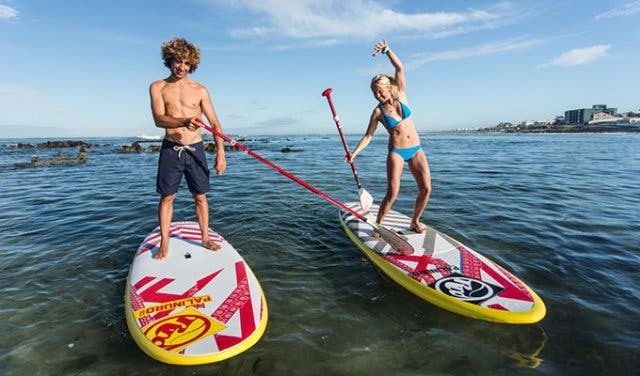 Surf and SUP rentals are possible: from SUP board, wetsuits, leash and wax. 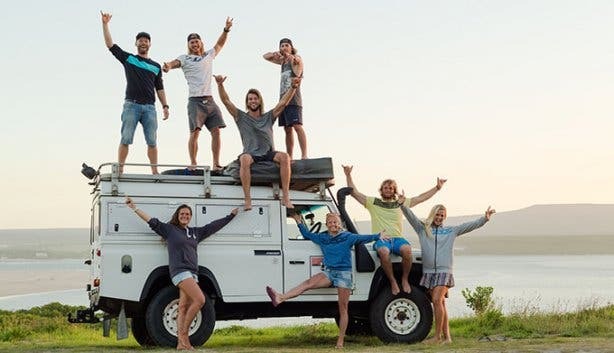 High Five embodies the surfer lifestyle and runs surf hostels offering a chilled atmosphere. You can roll out of bed and into the water for a morning session when staying at any of the company’s hostels in Table View. From seal snorkelling to skydiving, High Five always plans a fantastic adrenaline-pumping day full of action. To Book: Send an email to info@high-five.co.za, call +27 (0) 72 902 7899 or simply drop by the shop. For more information, visit www.High-Five.co.za. Read more about High Five. 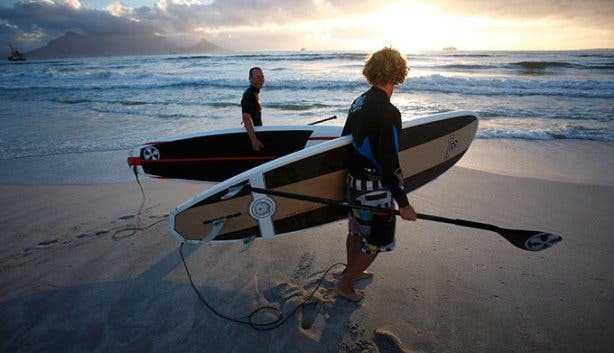 Once you’ve got the hang of SUP, why not try kitesurfing in Cape Town or Langebaan. Maybe check out our list of things you have to do in Cape Town before you die, or awesome activities you probably have never tried before.